﻿ Benzema: "In Madrid, we're all rooting for Cristiano Ronaldo to win the FIFA Balon d'Or"
19.12.2012 » Benzema: "We're all rooting for Ronaldo to win the FIFA Balon d'Or"
Karim Benzema has been elected by "France Football" as the best French footballer of 2012 and didn't feel shy when it came to unveil his dream of becoming the best player in the World in the upcoming years. As for this year's edition of the FIFA Balon d'Or, the Frenchman confirmed he is backing up his Real Madrid teammate Cristiano Ronaldo. 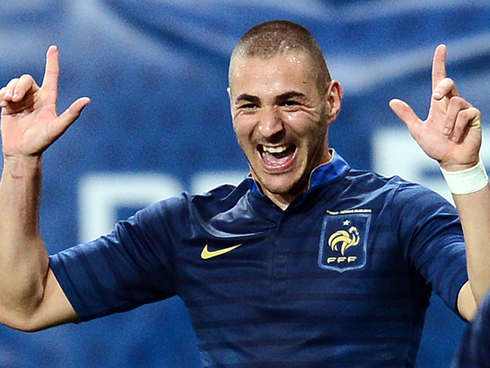 Real Madrid's French striker, Karim Benzema, has recently won the "French Footballer of the Year" award from the "France Football" magazine, for a second time straight, beating Bayern Munich's winger, Franck Ribery and Tottenham's goalkeeper, Hugo LLoris, on his way to the fist place in the podium. The 25-years old forward has received the award from the hands of Zinedine Zidane and has dedicated this moment to his fellow countryman and Barcelona player, Eric Abidal. With the FIFA Balon d'Or ceremony scheduled for next January 7 (2013), Benzema has also taken this opportunity to reaffirm that everyone in Real Madrid is supporting Cristiano Ronaldo and hoping that the Portuguese ace proves the odds wrong. As it happens every year, "France Football" has announced who has been the best French footballer of the year (2012), now that we have only a few days left before entering 2013. The winner's name wasn't exactly a big surprise, since Karim Benzema performances throughout 2012 easily outshadowed Ribery (Bayern Munich) and Lloris (Tottenham Hotspur), the other two players that were picked as the final candidates for this award. Benzema dedicated the prize to Barcelona's Eric Abidal, who he confesses to deeply admire since the times they shared the dressing room at Olympique Lyon. Benzema: "Dedicating this award to Abidal is how I pay tribute to him and also it's also the way how I can praise his bravery over the last years. He's very close to win the most beautiful game of his life, which is surely the most important one as well. Abidal has had the strength to react as a professional football player, but more importantly, he showed us how to react as the great person he is and it was definitely a valuable lesson for everyone...", started by remarking the Frenchman, as he showed how much he respects Eric Abidal. 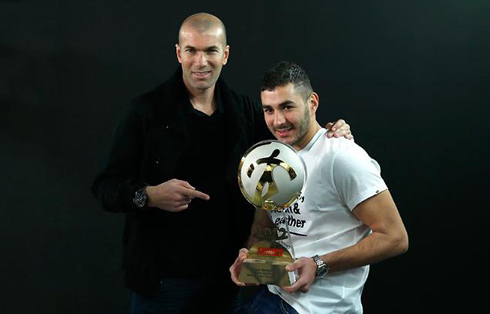 Benzema: "Abidal is the number 1 to me and that's why this trophy goes to him on a sentimental level. He has always been there to help me out and I still remember the days where he had my back when I was just a youngster starting my career in Olympique Lyon. He's one of my best friends and when I look at him, I see him almost as if he was my big brother", added the Real Madrid forward, when justifying having dedicated the award to Barcelona's defender, Abidal. 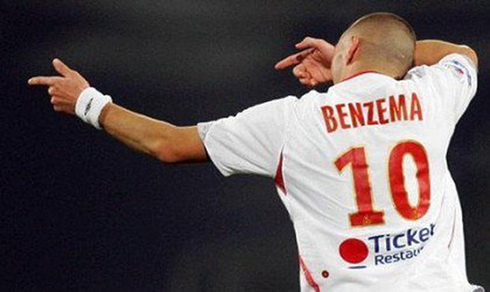 As for his ambition to also collect a FIFA Balon d'Or, Karim Benzema didn't hide his dream of becoming the best player in the World in a near future. He has also assured that everyone in Madrid will be rooting for Cristiano Ronaldo to win it this year, despite the strong competition he'll have ahead from Barcelona stars, Lionel Messi and Andrés Iniesta. 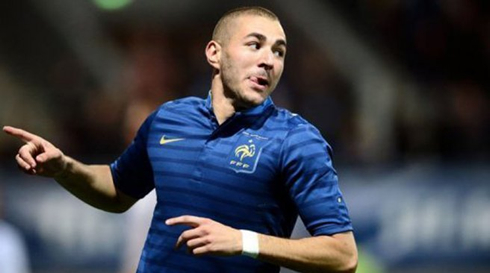 Karim Benzema: "I want that Cristiano Ronaldo wins the FIFA Balon d'Or 2012. We all want that in Madrid! It has already been an honor for me to be included in the list of 23 candidates for this year's award. Every single player certainly dreams with this trophy and even though it was a great joy to be nominated into the 23 players list, I know I'll have to keep working a lot for one day to be one of the final 3 candidates, and who knows, maybe winning it... My objective is to every year get closer to that goal", revealed the 25-years old forward. Despite the rumors that clubs such as PSG could be interested in signing the French striker, Benzema claimed to be very happy at Real Madrid. 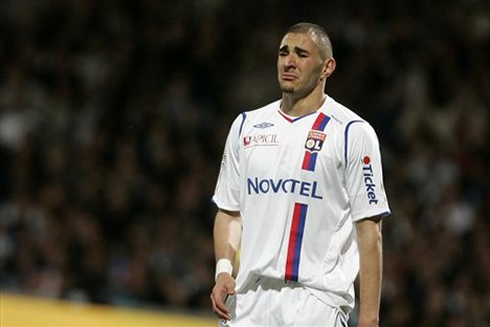 Benzema: "I haven't heard of anything credible linking me to PSG. I'm perfectly adapted to Real Madrid and this is the club where I want to stay. I'm at the biggest club in the World and I still have my own history to write in here. Last season we already won La Liga and more recently the Spanish Supercup, but I'm currently playing in the best league in the World, where the best football is practiced and I'm in the country that has won the FIFA World Cup. I've dreamt about playing for Real Madrid since I was a kid and winning titles with this club is pretty much the top for me", stated Karim Benzema when denying any rumors that could led to his departure from the Spanish capital club. Cristiano Ronaldo next game for Real Madrid will be against Malaga, for the Spanish League 'La Liga', next Saturday (December 22, 2012). You can watch Juventus live stream, Malaga vs Real Madrid, Valladolid vs Barcelona, Leeds vs Chelsea and Atlanta Hawks vs Oklahoma City Thunder, all matches provided from our sports live streams section.